I’ve had it! Enough with stupid Iraq debates! 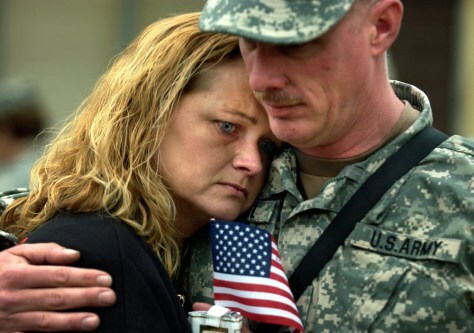 Julie Norton holds her boyfriend, Staff Sgt. Eric Berglahl while waiting for him to deploy to Iraq for a year, at Fort Stewart, Ga., on Jan. 16. This is Berglahl's third deployment to Iraq with the Army. For many of the soldiers of the brigade this is the third tour of duty in Iraq since the division led the push into Baghdad in 2003.